Here at IS when we read a headline about people dumping things in our beautiful oceans here in Fiji we can’t help but get a little emotional. Earlier this month, it was found that a Chinese tuna vessel has been caught in that very act. The ship was caught by the Royal New Zealand Navy off the coast of Fiji earlier this summer. This isn’t the first time the New Zealand Navy has caught offshore ships polluting the oceans either. The proper disposal of waste is a big issue in the waters worldwide. This particular instance was the crew throwing their personal waste overboard. The vessel had been at sea over a month, and when the Navy came aboard there was no sign of a month’s worth of waste on board and no process with how to deal with it properly. What we find staggering here, is that they are polluting the waters in which they fish. The particular area is a multimillion dollar tuna fishery, and the liner contained over 80 tonnes of Yellowfin Tuna and Albacore taken from the very waters which they were polluting. There is just no logic. Littering of any kind is abhorrent, but it just makes so little sense to pollute the area from which you draw your income. 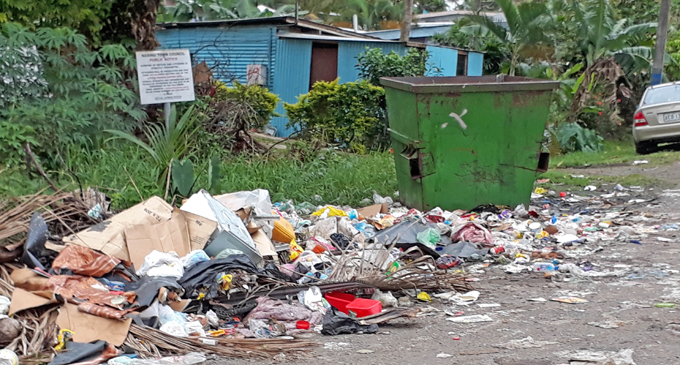 The fact that dumping rubbish can lead to offenders incurring up to a $500,000 fine seems to not be a strong enough deterrent for these fishermen. It can also affect a particular crew or company’s ability to gain fishing licences in the future. So not only does dumping waste overboard bring a huge financial risk, but it also puts in jeopardy their entire livelihood. So, the question on everyone’s lips, included ours here at IS is why? As if those two elements weren’t enough of a deterrent, the New Zealand crews are ramping up their presence to gently remind vessels of their responsibilities on the seas. They have been in the waters around Fiji since late April, and in that time, have boarded around 250 ships, of which 45 were found to be infringing on laws. This type of maritime surveillance is costly and time intensive, but appears to be working better than fines, or the risk of losing licences alone. The infringements that were recorded included a range of offences, including vessels without licences all together, illegal use of underwater breathing equipment for fishing, sea safety infringements, and rubbish dumping. Others were also found to be misreporting their catch which is also a serious infringement as accurate reporting allows authorities to ensure that fish populations are recovering so that the practice is sustainable. New Zealand is also helping to train Fiji Navy personnel to patrol their own waters, which is a great way to ensure that the surveillance is sustainable. Island Spirit is pleased to see the authorities taking such matters so seriously. We do everything we can to educate local populations as to the negative effects of ocean pollution, and too, try to encourage sustainable alternative livelihoods where possible. View how here.